I graduated high school in the summer of 1966 in Central New York during the tail ends of the Civil Rights Movement and during the height of the U.S.-led wars in Vietnam, Cambodia, and Laos. That summer, almost 400,000 men were drafted. Having lived and been raised in two orphanages and a foster home, I left New York and hitchhiked my way to California to attend the Institute for the Study of Nonviolence. I was barely out of my teens when I was first arrested at the Oakland Induction Center in 1967, the same year Dr. Martin Luther King gave his Beyond Vietnam speech. While in jail I was invited by a War Resisters League West staffer to a potluck - my very first introduction to WRL. Now, over fifty years later, I am honored to accept the 2018 Grace Paley Lifetime Achievement Award at WRL's 95th Anniversary Celebration. I hope you'll get your ticket and join me in celebrating with this beautiful movement community! I learned WRL organized the action as part of their Stop the Draft Week, where nearly 4,000 people blockaded the military processing center. Five days later, WRL helped organize 100,000 people to blockade the Pentagon during the Confront the War Makers action. By the start of the decade, I was working with WRL West and organizing in the Bay Area with a staff made up of WWII Conscientious Objectors and Vietnam War draft resisters, openly gay men, fierce women, and myself - an out Black lesbian. Acting mostly autonomously, most WRL offices in that time were run primarily by straight men. But we brought feminism - gender and sexuality justice - into WRL's antiwar space, making the then-radical connection between feminism and antiwar efforts, asserting that the same toxic masculinity that hurts women and femmes at home drops bombs and destroys communities across the world. WRL continues the tradition of investing in a cross-community movement that not only resists, but connects and celebrates. Can you help sustain this important work by starting a monthly gift today? After the Vietnam War was over, a lot of people said, "I can get back to my life now." But a lot of other people said, "No, this is just part of this broader issue of equality and justice." 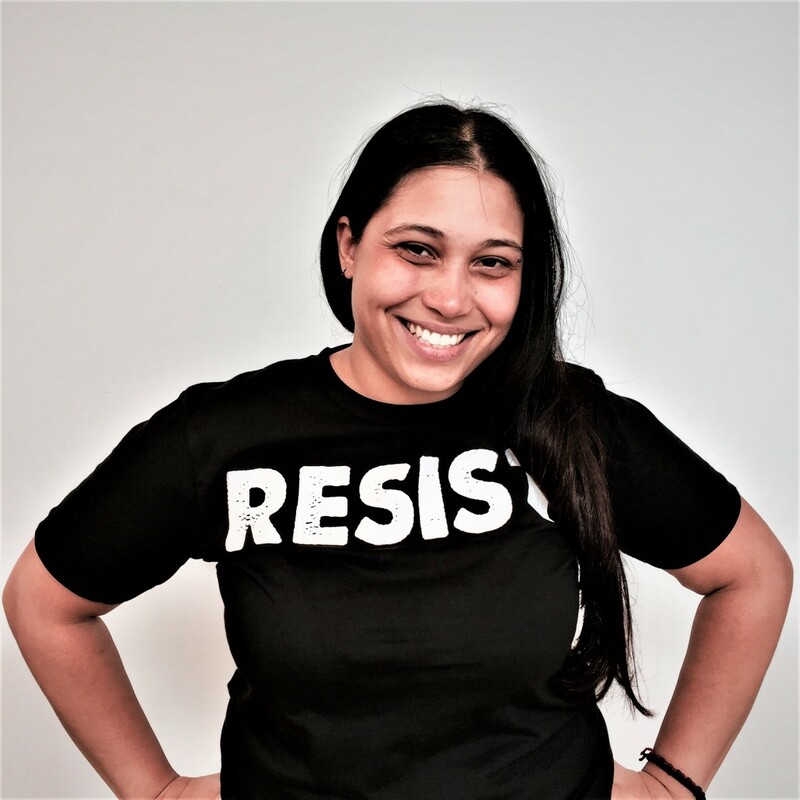 That was War Resisters League - connecting the dots, ready to meet people where they're at with political education, organizing tools, and nonviolence training. You can wander into it, stumble into it—or you can be intentional. Organizing working class folks, rural and small-town communities, queer people, Black people, people of color, undocumented people, immigrants, people with disabilities, and folks who experience mental health emergencies allows us to work across difference and build the strongest movements possible - grounded in compassion and justice. War Resisters League has been building such a movement for 95 years. Will you help WRL sustain this radical movement building by starting a monthly gift today? 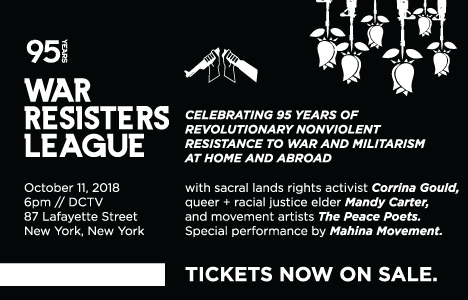 As War Resisters League celebrates its 95th Anniversary, I'm glad to be part of this movement and celebrate with an organization that invested in my leadership at such a young age. I hope you'll come and celebrate with me.